We have been working hard on moving our blog, so welcome to our new home! We are looking forward to having you visit us! We had a wonderful time at Spring International Quilt Market 2015, where we debuted Kelly Ventura’s collection “Flora”. In the coming days, we will be featuring some projects made with this delightful collection that is in both cotton and cotton lawn. 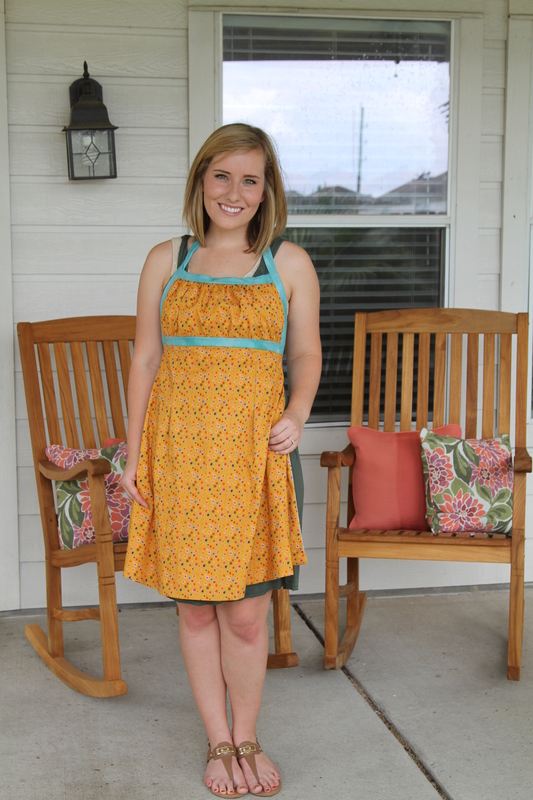 Today, we wanted to share with you what our friends and Pattern Partners at Sew Liberated created with this line. 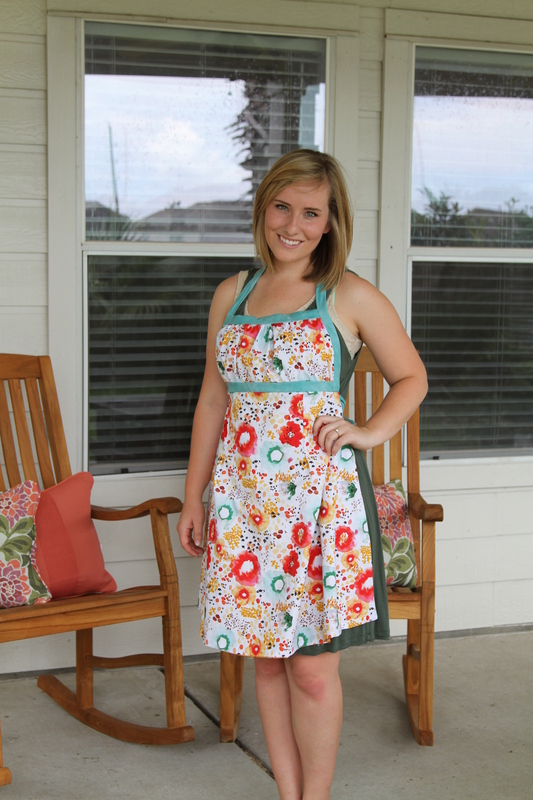 As you can see, this modern watercolor floral collection easily lends itself for beautiful dresses and aprons! 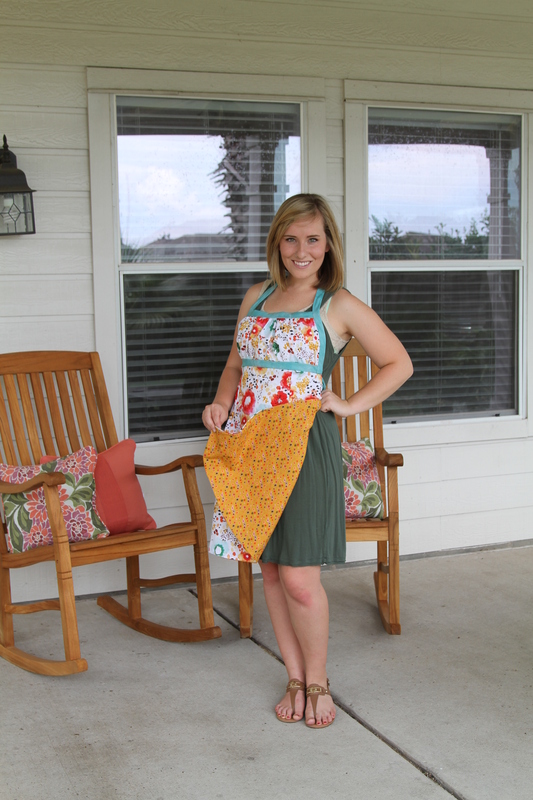 The Clara dress, shown in the main print in grey floral cotton lawn and The Emmeline apron (that is also reversible), featuring the main print in white and coordinated with the multicolored dots in pumpkin and the solid teal. This line is just a breath of fresh air! Thank you so much Sew Liberated for sharing your lovely creations! This cotton lawn is just an amazing fabric! How beautiful! Love the fabrics!